Ichikawamisato in the Yamanashi prefecture of Japan faces numerous issues common to the country’s rural areas nowadays, one of them being the decline of social interaction. Because of the lack of local small shops and the dependence on cars as main transport option, there are little chances for spontaneous interaction between the inhabitants of the area. 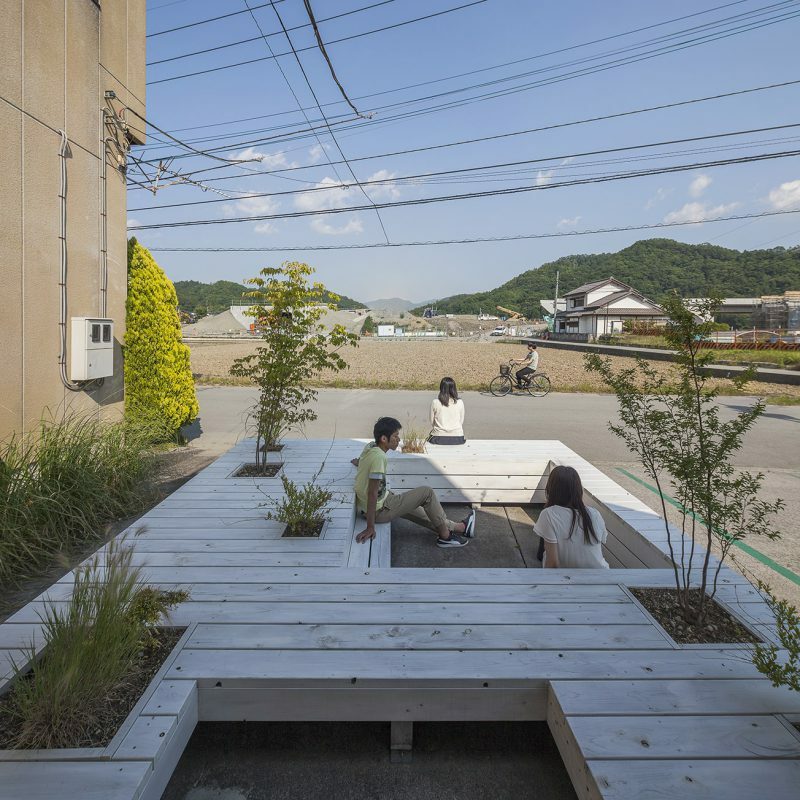 As a response, and one of the solutions to this issue in Ichikawamisato, Jorge Almazán along with students from Keio University came up with the Pit Terrace. 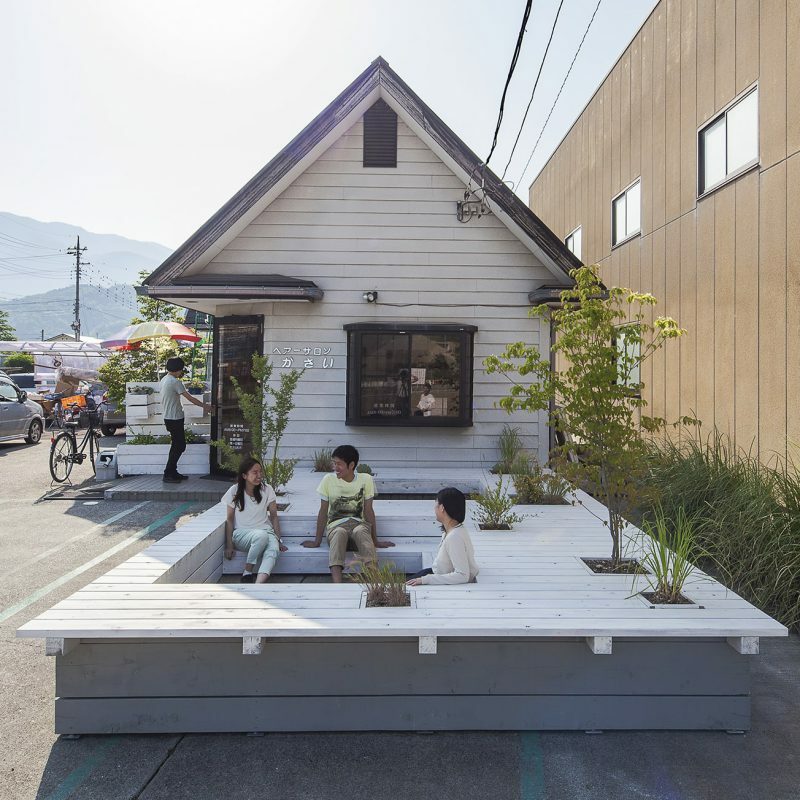 With a limited budget, the architects managed to free and reorganize part of a parking space in front of a barbershop, creating a terrace which mimics a characteristic shop façade. 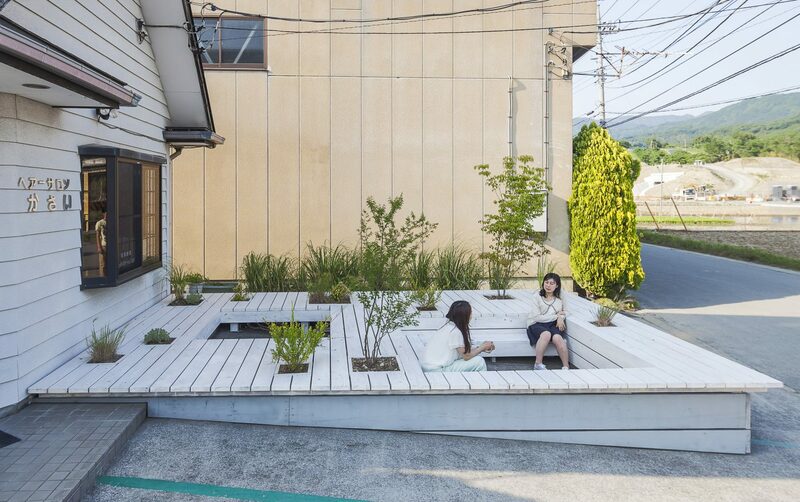 The terrace is made out of white wood and acts as a combination of a bench and a garden where people can sit, talk to each other, enjoy the greenery and breathe the fresh air. The surfaces on the Pit Terrace are versatile and can also act as tables or spots to lay down on. The spot looks very modern and minimal, its aesthetic values appeal to a wide audience. Apart from attracting customers to the barbershop which is situated adjacent to the terrace, the project is meant to “activate communication and increase people’s consciousness towards the district”. Plans which similarly aim to rejuvenate and reinvent the Japanese countryside have been put into place all over the country in recent years. From offering (almost) free housing in rural areas, to crafting beer in the middle of nowhere or even setting up satellite offices for tech start-ups, the country has been actively aiming to attract people, especially young people back to its declining areas around big cities. These projects have also been a part of a bigger, increasingly popular in more and more countries, movement of rural gentrification.